The Ann Arbor area has a vibrant restaurant culture and, perhaps not surprisingly, a zealous foodie community to match. Yet we often hear the same old standbys touted in local conversations and in media lists of the area's best eats. With that in mind, I set out to explore some local eateries that you’ve probably driven or walked past without noticing. These places might be low on atmosphere – nearly every one features a chalkboard menu, a handful of tables, and a small dining area – but they’re big on flavorful, distinctive food. "We used to make food for people, our neighbors and friends, and they really liked it," says Hamzah Mohammad, manager of Ypsilanti’s Casablanca, a Moroccan restaurant that operates in what was once a Taco Bell on Washtenaw Avenue. "They always suggested that we should open a restaurant, and that’s what gave us the idea." Sometimes, of course, not being on the local foodie community’s radar is primarily a function of location. The most extreme example of this, Ron’s Roadside BBQ, can be found on Pontiac Trail, way out near Dixboro Road, in Ann Arbor. "You’ve really got to want to come here," chuckles owner Ron Philipp, who inherited his father’s business, Romanoff Catering Service, 10 years ago. "We get a lot people going to work, or coming home from work, in Plymouth, South Lyon, Ann Arbor – all over. There’s a lot of spontaneous stopping by, and some organic word-of-mouth taking hold. Also, when there’s a big Michigan game, people use us as an alternate route when coming from West Bloomfield and those areas. They’re on their way in to tailgate, and they want to pick up some things, so we have it ready to go for them. … We get a lot of repeat business." Catering makes up the bulk of Philipp’s business, but that doesn’t mean you shouldn’t make the trip to his BBQ joint. "We are one of the best-kept secrets around," Philipp says. But the secrets are coming out: here are five "hidden gem" restaurants in Washtenaw County. La Torre Taqueria's beef tacos. 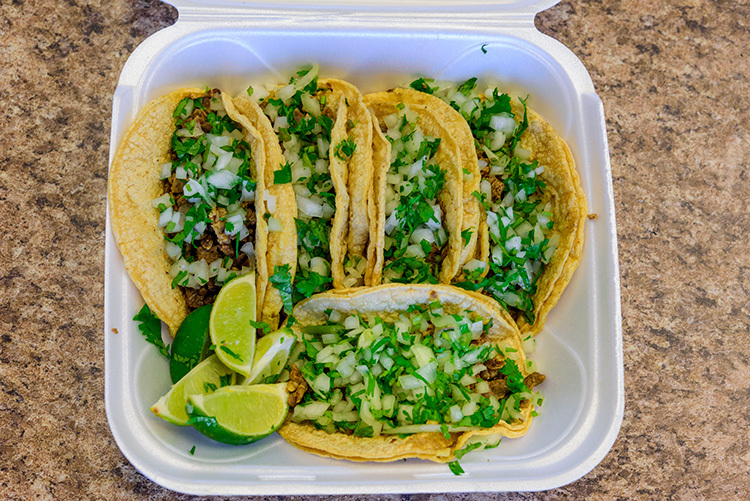 Tortas, quesadillas, burritos, and tamales are also available, but I'm so sold on La Torre’s tacos that it will be hard to order something else when I visit again. Yes, the space is cramped, with one table shoved right up against the counter, but La Torre is a family business that actually exudes a genuine warmth toward its clientele, whether you’re a regular or a newbie. I’ll definitely be going back. When I asked friends what underappreciated local restaurants they’d recommend, Casablanca was a name that popped up again and again. 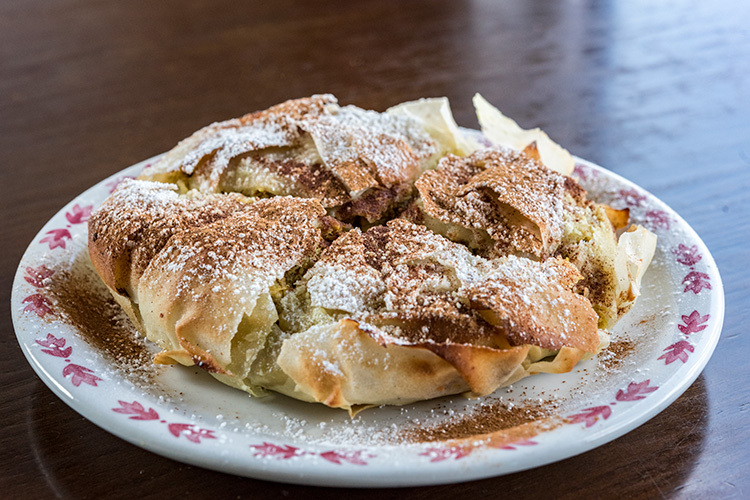 I’d never tried Moroccan food before visiting, but my experience got a fantastic start via a crazy-delicious bistilla – saffron chicken and spicy omelet stuffing with fried almonds and orange blossom water, wrapped in phyllo dough that’s covered with powdered sugar and cinnamon. I also sampled the Moroccan hummus (topped with tomatoes, onions, ginger, and fried potatoes) and the falafel. All of it was marvelous. Moroccan fare is particularly enticing because Morocco stands at a geographic and cultural crossroads in northwest Africa, on the coasts of both the Mediterranean Sea and the Atlantic Ocean, absorbing influences from numerous sources. This gets translated into the sweet and savory mash-up of flavors you get at Casablanca. And while you might guess the restaurant’s owners gave the place its name because Americans' primary association with Morocco involves the famous Bogart/Bergman film with the same title, you’re only partly right. "There are two owners," Mohammad says. "It’s a partnership. There’s a Moroccan owner and an owner from Jordan, and the one from Morocco is from Casablanca." Either way, I think this is the beginning of a beautiful (food) friendship. This is one of those food mysteries I kind of never want to have solved: how a hoagie place, Broadway Cafe, also came to serve great Korean food. (Unique food pairings seem to be a thing in this area, considering that the also-beloved Antonio’s Coney Island in Ypsi has built up a reputation for terrific Honduran and Mexican cuisine.) The Broadway’s strip-mall home sits across from a now-empty field, and the eatery fell victim to a bizarre July accident in which a car crashed through its front window. But the long-established restaurant (founded in the ‘80s) is still going strong, serving yummy spicy bulgogi alongside cheesesteak hoagies. A bulgogi hoagie at Broadway Cafe. Other items on the menu include spicy ramen, bibimbap, and stir-fried chicken, pork, or squid, and with just a few tables in the Broadway’s small space, the service is quick. 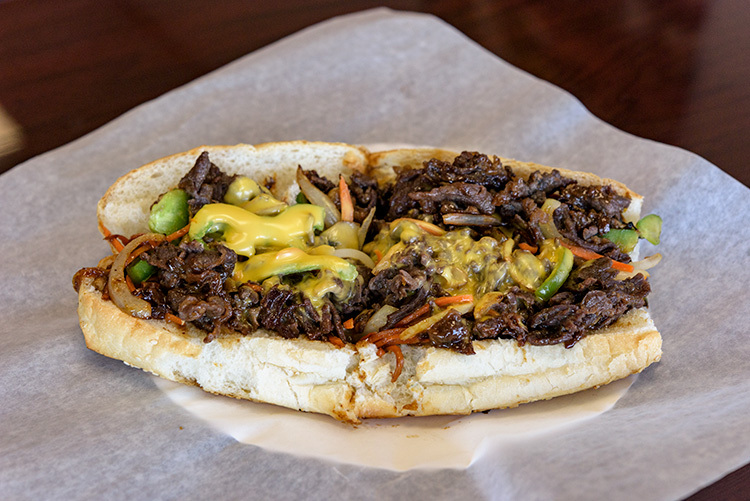 Plus, you have to hand it to a place that openly embraces its quirks: also on the menu is something called a bulgogi hoagie. Yes, please. 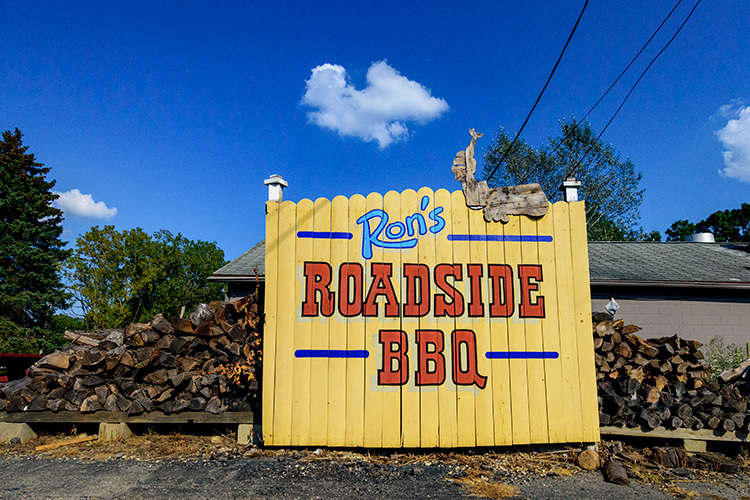 Really, really far off the beaten path, there’s Ron’s Roadside BBQ. The restaurant serves tantalizing sandwiches packed with brisket (one of Philipp’s most popular offerings), pulled pork, pulled chicken, and BBQ beef, or dinner entree versions of the same, plus ribs and chicken. Available sides of "fix’ns" include mac and cheese, baked beans, beet salad, slaw, and "tater salad." This outgrowth of the family’s long-established Romanoff Catering Service – launched by Philipp’s dad (who also opened the Heidelberg long ago) – features a few picnic tables outside, one table inside, and a decidedly rustic shack vibe, complete with framed old photos and an old radio. But don’t let the low-key vibe fool you. Philipp is a classically trained chef, having studied at École de Cuisine La Varenne in France, worked as a sous chef for Barefoot Contessa host Ina Garten, and opened two successful, acclaimed restaurants on Long Island. Though sad circumstances (his father’s death) brought him back to Michigan, Philipp says, "I’m glad to be here. This is home." The First Bite is, in some ways, Ron’s Roadside BBQ’s opposite. It’s got a prime Main Street location in downtown Ann Arbor, it has vegetarian tendencies, and it just opened its doors in June, so most locals simply haven’t stopped in yet to give the place a try. (You should, obviously, or I wouldn’t include it here.) The modest but tastefully furnished eatery focuses on organic ingredients and food made from scratch. While your first glance at the menu – which includes a chickpea beet burger and a Sicilian wrap with vegan Italian sausage – might make you assume it’s a vegetarian restaurant, it’s not. There are chicken burgers and turkey burgers, among other items. First Bite just happens to have several good options for those steering clear of meat. First Bite's black bean burger. 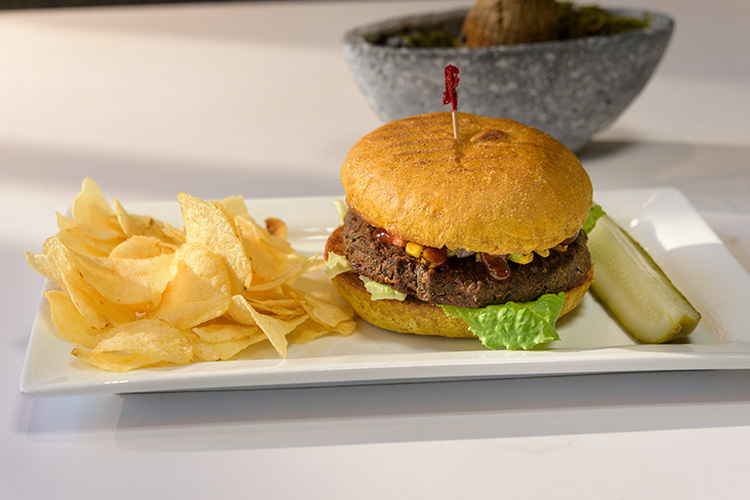 I can enthusiastically recommend the Southwest black bean burger, with corn salsa, guacamole, and housemade barbecue sauce (so, so good). And next time I’ll be checking out the Thai peanut wrap, or the mix of spicy beans, corn salsa, guacamole, cilantro-lime rice, and tortilla chips that’s called a "Beanie Bowl" – presuming I can get past feeling a bit silly while saying the words "Beanie Bowl." Of course, these are just a handful of the culinary hidden gems in Washtenaw County’s diverse restaurant ecosystem. When I asked friends what off-the-radar local restaurants they loved, I received dozens of answers, which means there are loads more terrific places out there, just waiting for us all to "discover" them. A tempting prospect, to say the least.